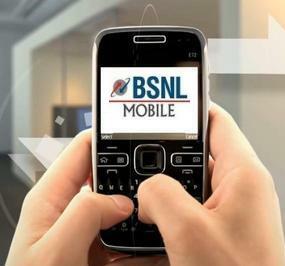 Bharat Sanchar Nigam Ltd (BSNL) today announced the launch of “NESAM Special ” new 2G prepaid plan with free sms and per second tariff for prospective and MNP subscribers in Tamilnadu and Chennai circle for Rs.49. The new plan is specially tailored for Friends and Family callings and free local SMS benefits. With this plan Subscriber will get Free 50 SMS per month and Reduced call rates 20p/min on BSNL and 40p/min on any other networks. This F&F calling facility will be available for 5 local numbers (Mobile and Landline) of any network of Tamilnadu and Chennai circle. BSNL’s “NESAM Special ” prepaid pack comes at Rs. 49 (SIM -Rs.20 + FRC Rs.29) with the 30 days plan validity and initial free Talk Value of 50 Minutes. The call charges will be 1p/sec for Own Net and 1.2p/Sec for other network calls from Home network. All calls while National Roaming will be charged at 1.2p/sec. To extend the validity, customer has to recharge with plan voucher of Rs.29 through C-Top. Earlier the similar plan was launched on March 18th, 2011 with life time validity and 200 free sms as a promotional offer and it was closed on 15th April, 2012. Now after the TRAI’s new regulation, tariff validity and free sms quota has been reduced/revised and plan launched as Nesam Special Plan.The new plan will be available for 90 days from today i.e. 19th April 2012 to 17th July 2012. Press 9 to go back to main menu or 0 to exit.